Baltimore, MD (January 1, 2013) – Otakon is pleased to welcome back voice actor Maile Flanagan for Otakon 20. 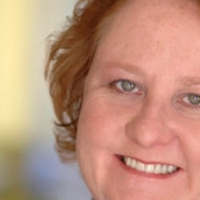 Maile Flanagan won an Emmy in 2006 and was nominated in 2007 for Outstanding Performer in an Animated Program for Jakers! The Adventures of Piggley Winks. She voices the lead in the hit anime show NARUTO, and has done over 400 episodes, 5 movies and 35 video games for the series. Other animation work includes the Oscar winning film Rango, Ice Age 3, Fish Hooks, Back at the Barnyard, Kung Foo Magoo, Tom and Jerry, Final Fantasy 13, and many more pilots, shows, and upcoming projects. Currently you can catch her recurring as the mean principal on Lab Rats on Disney XD and in a recurring role on Shameless on Showtime. ABOUT OTAKON AND OTAKORP, INC.: Now entering its twentieth year, Otakon is an annual celebration of Japanese and East Asian popular culture, and also one of the largest gatherings of fans in the United States. Otakon celebrates popular culture as a gateway to deeper understanding of Asian culture, and has grown along with the enthusiasm for anime, manga, video games, and music from the Far East. Since 1999, Otakon has been held in Baltimore, Maryland; currently, Otakon is one of Baltimore's few large, city-wide events, drawing over 32,000 people for three days each year (for a paid attendance of over 89,000 turnstile attendees).